Dangerous hacker group “Phantom 20” is known internationally. They begin an attack on Hikari Bank in Japan. 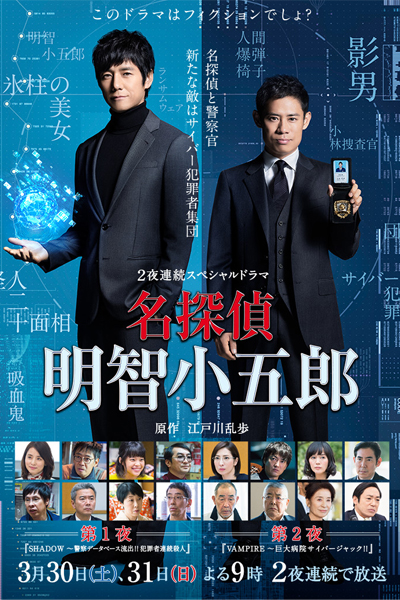 Kenjiro Namikoshi is the chief of the criminal investigation section at the Tokyo Metropolitan Police Department. He leads the investigation into the group. Kenjiro Namikoshi thinks of Kogoro Akechi who holds vast knowledge on hacking and leads BD team hacker group. To ask him for advisor help on the investigation, Kenjiro Namikoshi sends Yoshio Kobayashi.